At least once a week we hear our guests say “we should have booked to stay longer, there is so much to do here”. 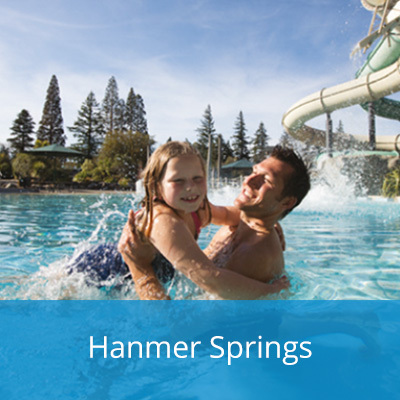 Many of our guests come back, from all over the world, and use Hanmer Springs as their base to explore from. 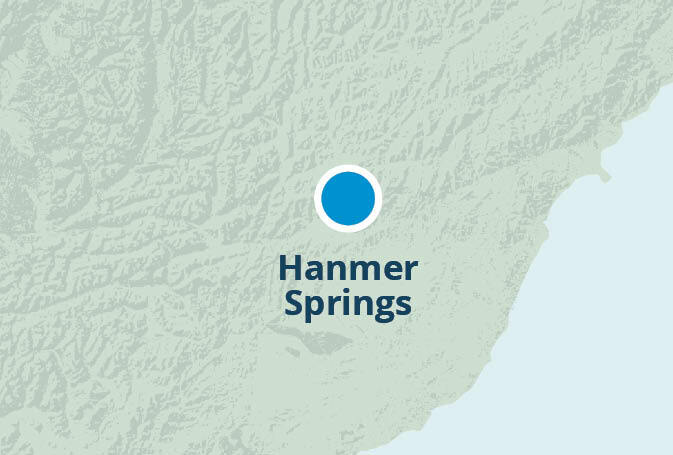 Unlike many other towns and cities, which grow up from business, farming or industrial purposes, Hanmer Springs is a village that has grown completely around providing relaxation and fun for visitors, travellers and tourists. From Hanmer Springs you can see some of the best of the east and west coasts of the South Island and the mountains and forests in between, and then come back at the end of the day because it is here in Hanmer Springs that you can enjoy world-class food & wine, relax & recharge in the thermal hot pools, and rest and be entertained in our comfortable accomodation. 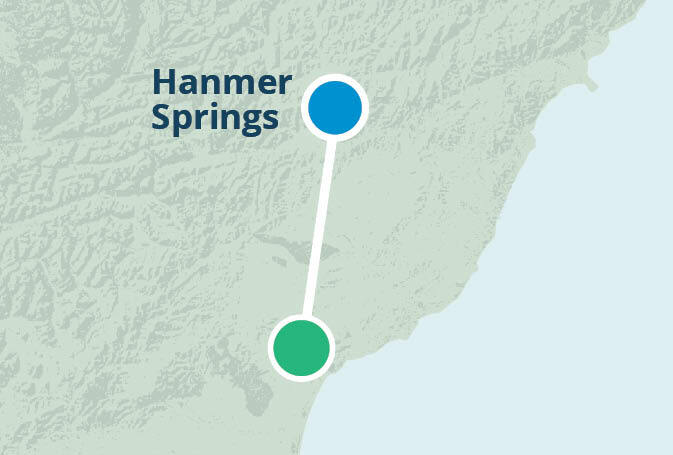 You can do it all from Hanmer Springs! 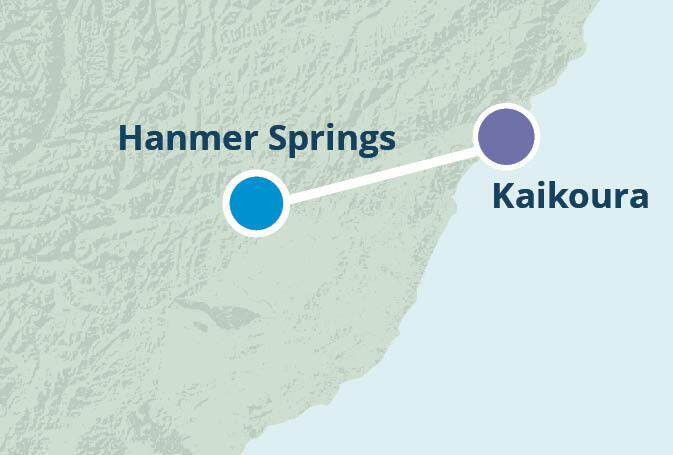 Below are 4 itineraries that will inspire you to stay a while in Hanmer, and take some day trips to enjoy the wonder of Kaikoura’s marine life, walk in tranquil alpine landscapes, experience a taste of Waipara Valley’s award-winning wine and food or just totally relax. View ItinerarySet stunningly between majestic mountain ranges and the ocean, Kaikoura is one of the most bio-diverse marine environments in the world. Providing visitors with an opportunity to get up close and personal with wildlife including, seals, dolphins and whales. 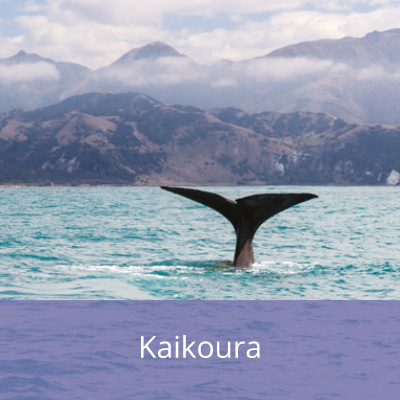 The Maori name Kaikoura translates in English to “Crayfish Food” so it is little wonder that this town is a hotbed for seafood lovers. View ItineraryTaste award winning wines and enjoy cuisine including local produce, all within reach of a short drive from Hanmer Springs, stopping for morning or afternoon tea at Cheviot or Waiau on the way. Lunch at a winery restaurant with magnificent views will be a highlight. 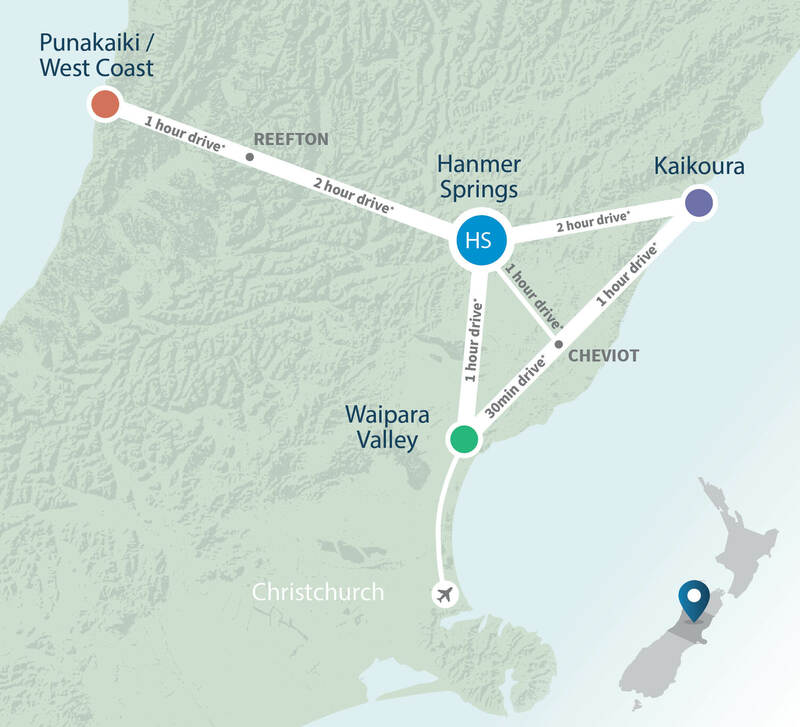 The Waipara Valley is home to the North Canterbury Wine Region and makes a great day trip from Hanmer Springs. The drive there is easy, taking in some great scenery. As you head south, the first town you find will be Culverden – a great stop with plenty of options for morning tea and some excellent art and craft galleries. 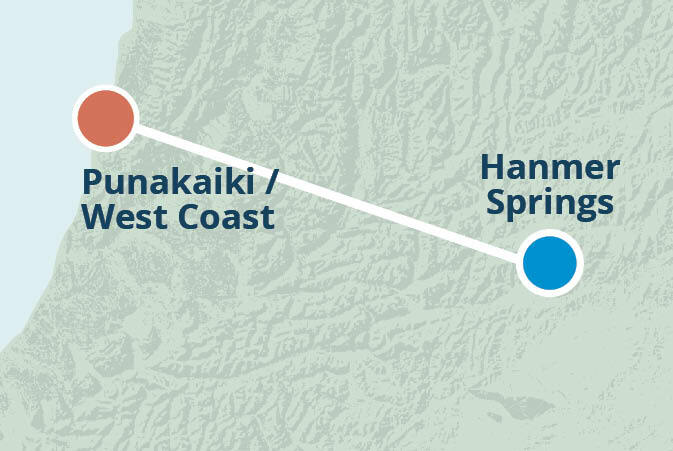 Further south you’ll head through Hurunui (home to one of the oldest pubs in New Zealand) before hitting the charming township of Waikari. There are some lovely walks around this village – check out the information board near the public toilets on the State Highway. From Waikari, it’s through the Weka Pass with its surreal limestone formations – including the appropriately named Frog Rock. 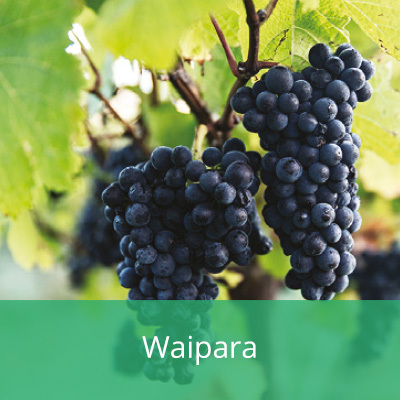 Once you’re in the Waipara Valley, there is plenty to do with more than 80 vineyards and four winery restaurants: Pegasus Bay, Black Estate, Waipara Hills and Waipara Springs. Each offers a world-class experience and we are more than happy to book you in for lunch. 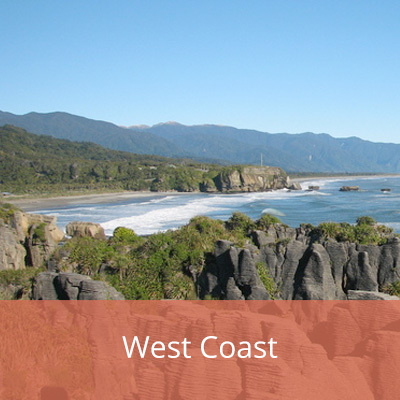 View ItineraryYour tour to the blowholes and pancake rocks at Punakaiki takes you through the forest clad mountain scenery of the Lewis Pass, Reefton and the beautiful lower Buller Gorge. Along the west coast route, you pass rainforest on one side and the thundering Pacific Ocean on the other. On your journey, back to Hanmer Springs, stop at the gold mining town of Shantytown, near Greymouth, for a trip back in time, complete with steam train and gold panning. View ItineraryThere’s more to do in Hanmer Springs than can possibly fit in one day, so stay a while and tick off some must-do’s; walk in the bush to a waterfall, rent an electric bike for an assisted ride around town and easy tracks, mountain bike and ride the forest and hill tracks, ride the water slides, have a massage or soak and relax in the natural thermal springs, drive alongside the Clarence river through the iconic St James Station back country or the historic Molesworth station, see the Waiau river up close by jet boat, raft or bungy jump… the list goes on.